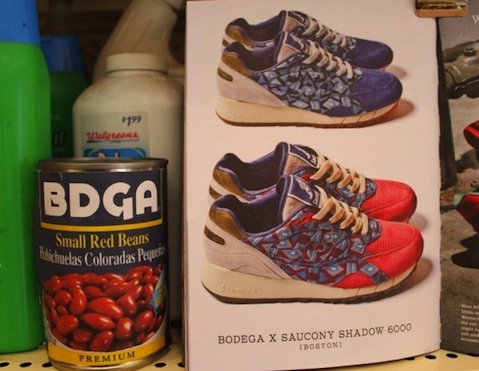 Ok so Boston’s Bodega have had a very long relationship with Saucony and have dropped a bunch of sick Saucony makeups and some which have been, hmmmm, just ok. But they come back to fine form with these Shadow 6000s as these look top drawer. That Geometric pattern on the sides is all the rage right now in design circles and that lush looking suede with the perforations on the toebox, very nice. These might have to get got. 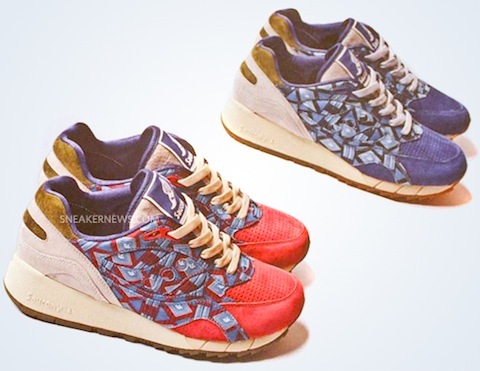 Just these shots from Sneaker Freaker at the moment and no firm details on release as yet. But very very Bodegatastic!